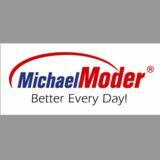 Michael Moder Ltd is engaged in serious bilateral collaboration with individuals and companies worldwide in the area of health care and personal development. Our courses, educational seminars, books and videos are aimed at teaching skills, raising awareness of disease prevention and independent thinking. We build on the assumption that, on the road to ultimate perfection, man should use his natural creativity to improve his life without limiting others or harming our Earth.